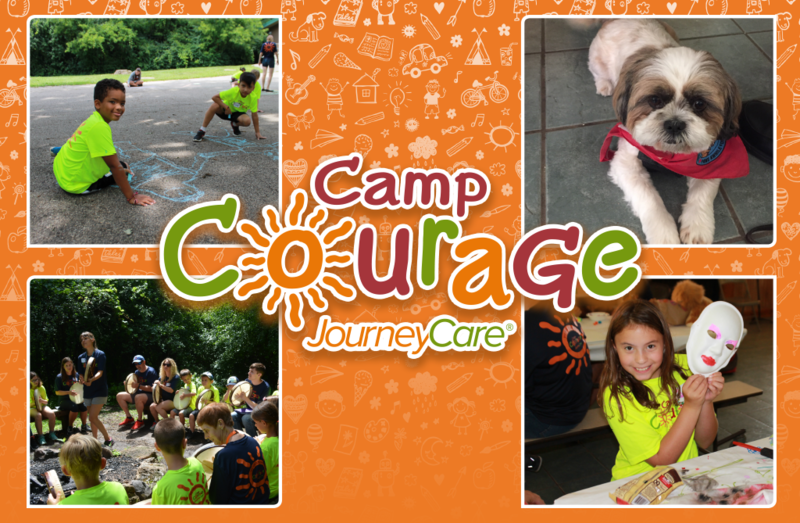 Camp Courage is JourneyCare’s bereavement camp with activities for children and teens, ages 6-13, who are grieving the loss of a loved one. Camp Courage provides a safe, supportive and fun environment for campers to explore and express their feelings. Activities are led by professionally trained counselors and trained JourneyCare volunteers. There is no cost to attend Camp Courage, thanks to the generous support of our sponsors, community partners and families. 9 a.m. to 2 p.m. Friday – Family Day – tribute & celebration with games, food and fun! Please submit an application to apply for Camp Courage. This is a required first step in the application process. After review, a JourneyCare counselor will contact the parent/guardian to assess if each applicant is appropriate to attend. Enrollment is limited. There is no cost to attend Camp Courage, thanks to the generous support of our sponsors, community partners and families. Donations are welcome. Please note that due to space limitations, priority will be given to first-time campers. Read more about Camp Courage here. For more information on Camp Courage, as well as bereavement programs for high school age youth, contact us at 224-770-2273 or griefsupport@journeycare.org.